Barry and Marla Malcolm Beck are the founders and visionaries behind Bluemercury, Inc. In 1999, cosmetics could only be purchased at drugstores or department stores. As a recent graduate and working woman, Marla found less and less time to pursue her quest for products that would maintain glowing, healthy skin. Barry, a serial entrepreneur who had already started three businesses, saw an opportunity. 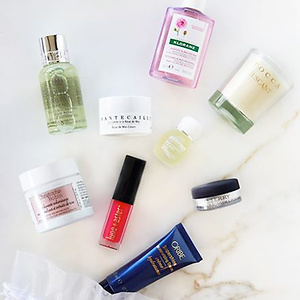 Together, they created the first Bluemercury in Georgetown, Washington D.C. – the neighborhood store for beauty, where clients could find high quality, innovative beauty products and honest, expert advice. Bluemercury offers a treat for you, enjoy your luxury gift with purchase. Free 2-day shipping and free returns with purchase. 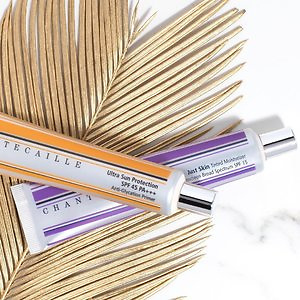 Bluemercury is now offering spend $125+ and get a deluxe 5-piece gift featuring a curated selection of our favorite complexion-perfecting samples, including fresh soy bean cleanser and chantecaille sample, shop while supplies last!